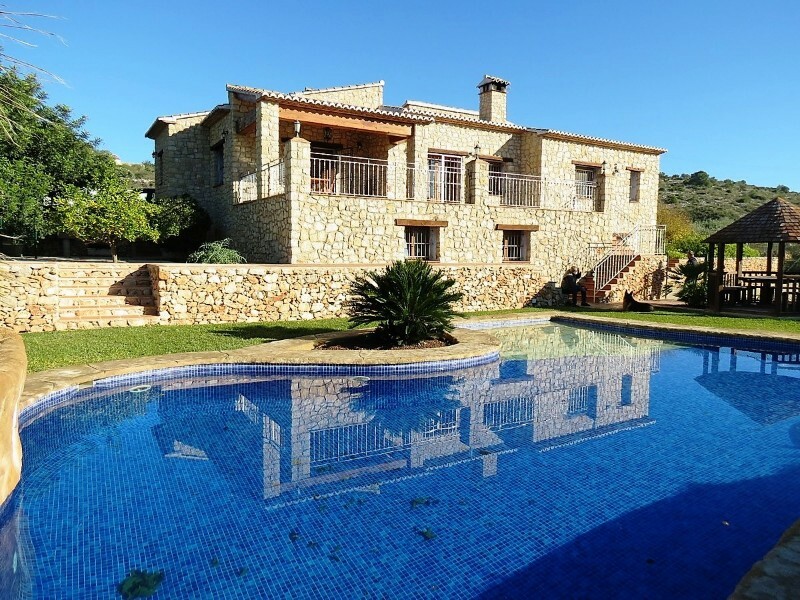 Old finca, at only 700m from the town centre, completely restored and very nice decorated. You enjoy in a beautiful environment of peace accompanied of all the amenities that you wish. Downstairs there is a large dining room, kitchen and patio, 2 spacious living rooms with a fireplace of two faces and 1 bedroom with bathroom. Upstairs we have 4 bedrooms (3 with terrace or patio) and 3 bathrooms. A wonderful naya invites to go out in the garden and the pool and you can enjoy different corners and terraces. At the end of the garden there is a guesthouse with 1 bedroom, living/dining room and open kitchen, 1 bathroom and a super naya with its pond. A fantastic house in a fantastisc area! Must be seen!